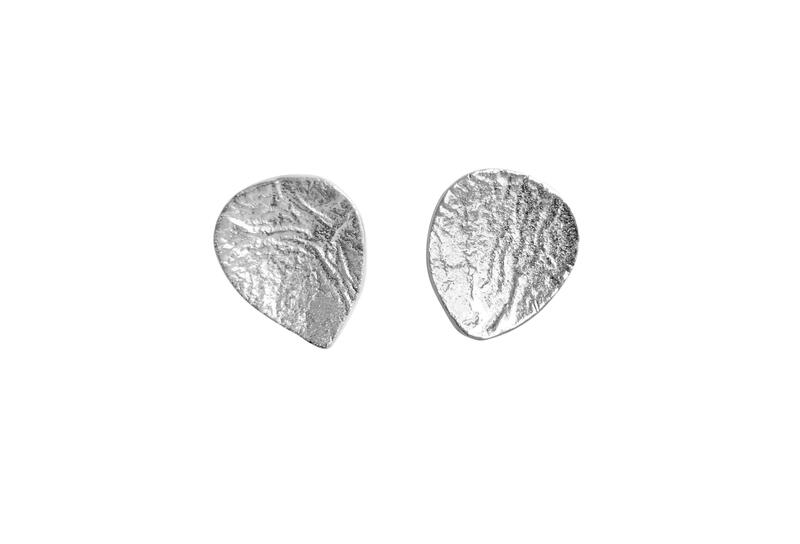 Stunning handmade Sterling silver teardrop shape textured stud earrings. The Luna collection takes its inspiration from the inside of walnut shells. This gorgeous pendant features hanging sterling silver flat shell shapes in a range of finishes and sizes.